So back in 1976 when I was a student of theater, a couple of friends and I started to make the drive from our border town in Illinois to a border town in Michigan. They had a small equity house that had just turned to community theater. We were 17. It was high adventure for us to make the drive several times a week, what with the destination being in a different time zone. Back then gas was cheap and it was okay to drive fast. We learned all kinds of fun stuff at that time. We learned stage lighting for theater-in-the-round. We learned, thanks to the time zone thing, that if we drove really fast we could get home two minutes before we left. We learned that time travel is cool. 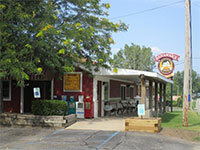 We also learned of a really excellent roadside diner named “Redamak’s”. They were warm and friendly and featured a “Working Person’s Special”. Cheap lunch! The bonus was that they had the Greatest Cheeseburger in the Universe. Really excellent. Served in wax paper with gobs of improbably delicious runny melty cheese. It was also the only place we’d ever been that served deep-fried green pepper rings. Ambrosia. My aplogies for the breezy introduction. Meet Mike. Friendly, pleasant, fast, and grinding out the grub. 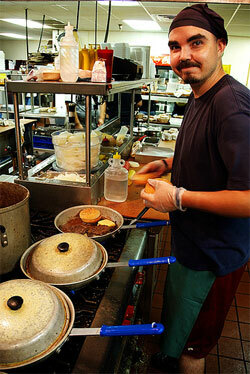 He’s been working behind the scenes at Redamak’s for 22 years as a cook and a manager. He had the intuitive rhythm that comes with being back there all that time. A cool thing to witness, and makes for some great eating. Redamak’s. Red Arrow Highway. New Buffalo, Michigan. Tell ’em Friendly Joe sent you! New Buffalo – Yes, there’s the distinct aroma of beef in the air, and you know what that means: Redamak’s is back in business! Thursday, March 1, is Opening Day at the landmark restaurant founded by George and Gladys Redamak during the 1940s, and while that may not rank among the great annual celebrations in the world, it is certainly a day cherished by local meat-eaters, who arrive each year in large numbers to feast on premium Iowa beef. 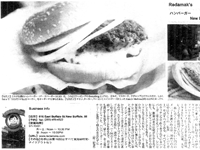 Ground on the premises formed into patties by machine (at a rate of about one per second) and cooked in its own juices, just as it was when the Redamaks operated the business, the one-third-pound burger continues to attract a following year after year. As Maroney recalls it, it was one of the restaurant’s assistant managers who came up with the trademarked “bite into a legend” tag line a couple of decades ago, and Maroney’s brother, James (owner of the “Da Barn” antiques store next door to Redamak’s), who created the restaurant’s now familiar logo, which features a simple drawing of a smiling, round faced guy about to bite into a Redamak’s burger. And a popular price. 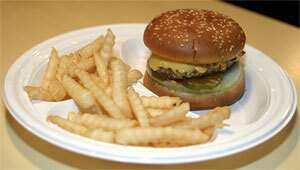 Redamak’s “Working Person’s Special” – a burger served with Grade A Fancy Crinkle-Cut French Fries – costs about $4.00. Open seven days a week until it closes for the winter again (this year on Oct. 21), the 400-seat restaurant (counting its heated three season room) relies on a staff of some 140 people to operate efficiently. The list includes cooks, bussers, hostesses, wait staff and half a dozen managers. “We’ll have as many as 16 people working just in the kitchen at any given time,” Maroney said. Many of the staff have worked for the restaurant for a long time, something the Maroneys take pride in. Debbie Robertson, of Three Oaks, has been a waitress for 25 years, but even she has a considerable way to go until she catches up with Mae Burns Shiel of New Buffalo, who worked there for 36 years before retiring. As do the Maroneys. Jim and Angie slip away to Bonita Springs, Fla., while Chuck stays closer to home in LaPorte, Ind., where he helps his wife, Linda, take care of their two young daughters, Gianna (5) and Nicole (8), while monitoring the sports career of his oldest daughter, Katie, a member of the Ohio State University Women’s Ice Hockey Team. The couple also has a son, Charlie, who works as a manager at Redamak’s and also serves as a volunteer fireman for New Buffalo Township. Will Redamak’s ever stay open year round? Maroney doesn’t think so. “When we first bought the restaurant, we used to stay open until December 15, but dealing with the snow was unbearable and we didn’t think it was worth it,” Maroney said. Although the potential customer base may have increased since then, he said he likes the idea of shutting down for a few months each year. “Our staff sacrifices much of their summer, including the holidays, to work here, so they can really appreciate having some time off to do other things,” Maroney said. For himself, and for his parents, it’s also a time, as Maroney put it, “to rethink things” – at least until early February. That’s when the work starts all over again. Redamak’s, located at 616 E. Buffalo St. (US 12) is currently open from noon to 9:30pm Monday through Thursday, noon to 10:30pm on Friday and Saturday; and noon to 10pm on Sunday. During the summer months, weekday hours will be extended to 10:30pm. 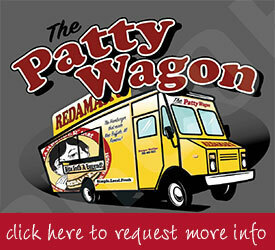 For more information, phone (269) 469-4522 or visit the restaurant’s Web site at www.redamaks.com. Redamak’s is a little seasonal restaurant on the lake. 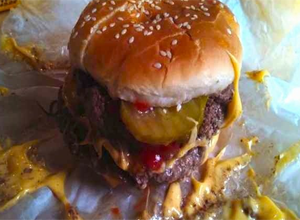 These are billed as the “burgers that made New Buffalo famous.” Each one weighs in at five-and-a-third ounces before cooking and is made from beef that’s freshly cut and ground on site. 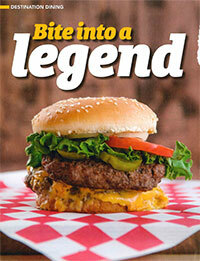 Each burger is cooked to order in its own grease in a six-inch cast-iron skillet and topped with Velveeta. 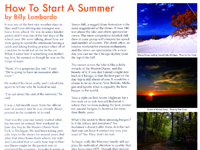 Whether you’ve been dreading the end of summer and the return to school, or anticipating the turn of the season to autumn, it would be hard to argue that the weather during September and October, the two months covered in this issue of The Post, is among the most pleasant the Midwest has to offer. And one of the best ways to give you end-of-summer mourners a chance to stretch the season, and you anticipators of autumn a chance to jump right into the Fall, is by taking a day trip to southwest Michigan. For sixteen years, with rare exception, my family has devoted at least one day in late September or early October to an apple-picking, beachcombing day in southwest Michigan. For each of us (highly structured by the academic year, and happiest in June, July, and August) the intent has always been to stretch the summer just one more day. We structure the day around the apple-picking season at Nye’s Apple Orchard in St. Joseph Michigan, which is an hour and half ride from Forest Park. This year the season runs from September 24-October 10. Luis and Carmen Sandoval are largely responsible for the smooth operation of what is known as the U-pick Season of Nye’s. Though the orchards provide twenty varieties of apples, many of them are early varieties which head to market long before September comes along. By the time the U-pick season arrives, there are ten varieties available to apple-picking civilians. Despite the fact that some types are better for baking and sauces than eating fresh, it’s tough not to bite into a new variety the second you pick it from the tree. We pick mostly Golden Delicious and Empire apples for eating, and a mix of Spy, Braeburn, and Winesap for baking. For the most part, we stay away from Red Delicious apples, which in my opinion though still very red, are seldom delicious. That said, these apples taste much better off the tree than they do off the grocery store produce stand. Neither my wife nor I ever picked an apple fresh from a tree during our much younger lives, still it feels like a return to childhood to pluck an apple straight from a tree, polish it on your tee-shirt, and crunch your teeth into it on a sunny September morning. As you drive into the orchard, you pick up a bushel or half bushel, and pick to your heart’s content. Ladders are available every few rows of trees for easier climbing. And if you pack a cooler with sandwiches, and your trunk with a baseball and gloves, there’s plenty of space for panicking or having a catch, when the picking’s done. Concord grapes are available for picking as well. Though some people eat them, they’re typically used for making juices, wines, and jellies. When we’ve filled our bushels with apples by the early afternoon, we head back west on I-94 toward the Warren Dunes. The state park is spread over nearly 2000 acres, which run along three miles of gorgeous Lake Michigan shoreline. There are no lifeguards on duty throughout the year, so pay attention to the green, yellow, or red flag they will have located at the entrance of the park to indicate the severity of the waves on any given day. Across the parking lot from the shoreline, Tower Hill, a rugged dune formation rises 240 feet above the lake. Not only does its ascent offer and intense workout for exercise enthusiasts, it’s great fun running down, and offers spectacular views. On a clear day you can see the Chicago skyline from the top of the hill. Most years, the sunset is the last one of the summer that we really make an effort to fully appreciate, and afterward, we head out of the park and take a right down Red Arrow Highway for a five-mile or so ride toward burgers we’ve been thinking about since rising to the world that morning. 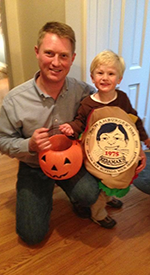 The Maroney family is celebrating its 30th year at Redamak’s, where you can get one of the best, tenderest, juiciest burgers in America. 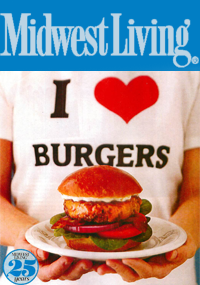 What’s the secret to these amazing burgers? Is it the lettuce and tomatoes? No. They don’t offer them. Is it the fact that you can have it cooked any way you want it? No. They don’t do rare. To begin with, the Maroneys still apply the individual attention to quality that they have since 1975. 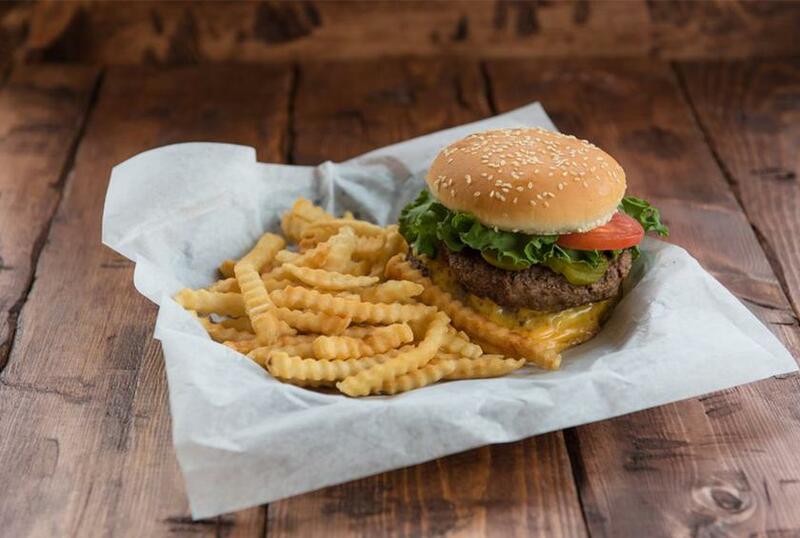 Though they moved away from pattying by hand, each burger, weighing in at exactly five-and-one-third ounces before cooking, is made from meat freshly cut and ground on site. 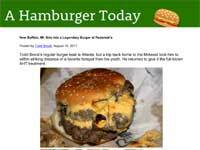 Redamak’s burgers are never frozen. They go through 100,000 pounds of meat each year, so if you can’t eat a burger with lettuce or tomato, they won’t miss your business. But let’s face it, when burgers are this good you can sacrifice a bit. Don’t pass up the cheese fries or the batter-dipped cauliflower if you tastes run in these directions. Everything at Redamak’s melts in your mouth. For kids, there’s a special menu that features the “Little Mak,” and every table is equipped with crayons and fun worksheets that kids have been known to fight dads over. When we leave Redamak’s sometime between 7 and 8PM, it seems we give a nod to Autumn. Permission for it to begin. 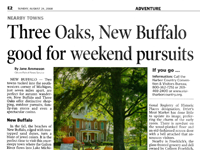 Urban residents wishing to be village people helped transform New Buffalo into a getaway destination. When Chicago bricklayer Jim Maroney bought Redamak’s roadside diner on July 15, 1975, he made one promise to owner Gladys Redamak: he would not turn the place into a disco. The Maroneys’ ties to the New Buffalo area go back even longer than that. Jim Maroney, 79, grew up on the Northwest side of Chicago. In 1932 his father sent him to Chicago Commons settlement house at Morgan and Grand, which had a summer camp in the New Buffalo area. The village was a hotbed for summer excursions from the city, including Camp Sokol on Lake Michigan and a YWCA Camp at Forest Beach. During a recent conversation at Redamak’s, Jim Maroney looked out the window at tree-lined Highway 12, about a mile from Lake Michigan. “All this used to be a picnic grove,” he says. “I would guess this restaurant is 80 years old. Gladys [and her husband George] had it for 29 years. Now we’ve had it for 30.” The Maroneys inherited a photo of the original building, which was dated 1923. Their records also show that every incarnation of the restaurant never included lettuce or tomatoes on hamburgers. Why did the Chicagoans keep the Redamak’s name? “Aw, who would know Maroney’s?” Jim says with a laugh. Angie, 77, adds, “You don’t change the name of Campbell’s soup.” Redamak’s does feature a soup of the day as well as Angie’s Home Style Chili, a family recipe with homestyle seasoning, diced tomatoes and ground beef. The couple sits near a large, framed blue and red neon sign promoting “Redamak’s Tavern—Beer Wine To Go.” The vintage two-sided sign was hanging on the building when the Maroneys bought the restaurant. Jim glances at the sign and says, “Gladys told us we could keep her name as long as it was respectful. She said if she thought we weren’t running the place right, she would take back the name.” Angie began learning the business under Redamak. 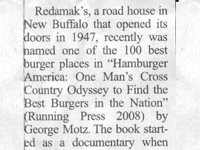 Their major contribution was rebuilding the Redamak’s burger. General Manager Chuck Maroney says, “When we took over we were buying cut and ground hamburger from Frank’s Foodliner (now Barney’s). We’d bring it back and hand-patty it, a couple hundred pounds at a time. A friend of my brother’s was in food service equipment. He stopped in and noticed we were doing patties by hand.” The friend told the family they could cut their time with a patty machine. Of course, he had one to sell. “It made all the difference in the world,” Chuck says. “He also said we should cut and grind our own burger. At that time beef prices were escalating. So we started buying box beef (three pieces of chuck). We’d cut, grind and patty ourselves. And now we’re cutting Monday, Wednesday, Thursday and Friday so it’s fresh.” The meat stays in house no longer than 24 hours. The restaurant goes through 100,000 pounds of meat a year along with 4,500 cases of 30-pound bags of fries. 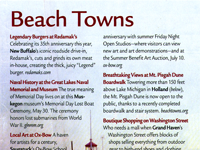 Redamak’s also got a ton of free publicity from Chicago media people that began flocking to New Buffalo. The family remembers TV newsman Walter Jacobsen being one of the first regulars, followed by film critic Roger Ebert. 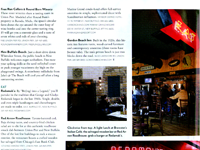 LAKE magazine Contributing Editor John McHugh first brought Ebert to Redamak’s. TV newsmen Andy Shaw and Ron Magers visit Redamak’s at least once a month. The Tribune’s Rick Kogan has been a loyal fan going back to the 1980s, and radio hosts Steve Dahl and Buzz Kilman consistently plug the restaurant. Chicago Mayor Richard M. Daley and his family visit the restaurant when they are vacationing in Grand Beach. A sign promoting the dearly departed Chicago Daily News hangs above the bar. 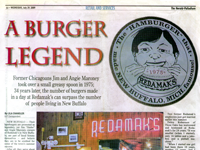 I have been eating Redamak’s burgers since 1980, when the Maroneys opened a 75-seat Redamak’s at 1530 North Wells Street in the Old Town section of Chicago. (It moved to Lincoln Avenue from 1983-90.) The airy and tender texture of the meat reminds me of Rotier’s in Nashville, Tennessee, a dive bar with the second best cheeseburger I have had. I always wondered about the Redamak’s logo featuring the guy who looks like an adult Jerry Mathers biting into a cheeseburger. “My older son (Jimmy) is an artist,” Jim says. “We asked him to draw a logo.” Chuck adds, “Actually, there’s a fellow named Del Tucker [from Skip’s Other Place, a steakhouse down the road in Union Pier], and he took pieces of each of us in that.” The design gave Redamak’s an identity. Autographed menus with the rotund face hang in a vestibule near the entrance of the New Buffalo restaurant. Most of the menus came from the Old Town Redamak’s, featuring period personalities like FM rocker Sky Daniels and actor Fred “The Hammer” Williamson. 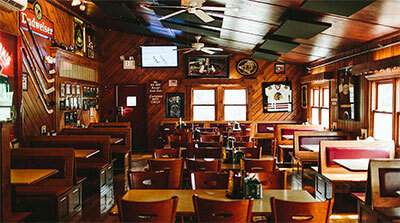 As media types built up the Old Town Redamak’s, more people sought out the original location. 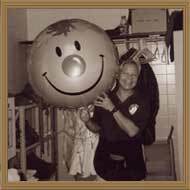 During the 1980s, the Maroneys became friends with Rick Uchwat, the owner of Zanies Comedy Club in Old Town. 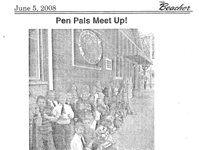 For a brief time they partnered up for a Zanies/Redamak’s in Nashville. Jim says, “He had the comedy, we had the food.” Although that sounds like a good vaudeville act, the concept only lasted two years. Jim Maroney has a favorite wooden bench he likes to sit on at the front of the restaurant. The bench has been good to him. “They got enough people here; they don’t need me,” he says. “So I just sit there. One day Chuck came out and sat next to me. I said, ‘How do you like this bench? Is it comfortable?’ He said, ‘Yeah, what’s wrong with it?’ I answered, ‘You better get used to it. You put me here and your son [manager Charlie] is going to put you right next to me. 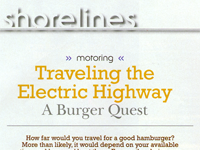 That’s the way it’s going to go.’” Like a Redamak’s burger, that’s something you can count on. “Catering to families is very important,” says Chuck (whose own favorite burger is the Swiss burger with ketchup, A1 sauce and mushrooms). The restaurant’s staff plays key role in maintaining Redamak’s legendary standards, and an estimated 80-85% have worked there for least five years. Chuck credits the efficiency of managers, Charlie, Gay, Paula, Bob and Mike with making sure everything runs smoothly, even when all 350 seats are filled and a long line has formed to wait for one of the much sought-after tables. “They do a heck of a job for us,” Chuck says.